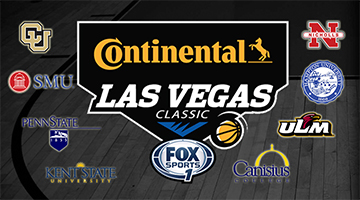 Canisius’ opponents for the Las Vegas Classic were revealed Friday: Penn State, Kent State and Louisiana-Monroe. IAGS confirmed last month that the Griffs would be playing in the December event. SMU and Colorado round out the eight-team field. Fox Sports 1 will air the championship and third-place games, but with Canisius’ final opponent already known to be either Hampton or Nicholls State, it would appear the Griffs can’t qualify for the championship. Canisius’ full schedule will be released in the next few weeks.